On October 17, 2012, the National Institutes of Health (NIH) announced that a progesterone drug used to prevent preterm birth for women with a previous preterm birth was not successful for first-time mothers with a predisposition for preterm births due to a short cervix. In February of 2011, the Food and Drug Administration approved 17 alpha-hydroxyprogesterone caproate (17P) to help reduce the risk of a preterm birth for mothers who previously delivered a child preterm. The drug is the synthetic form of progesterone. 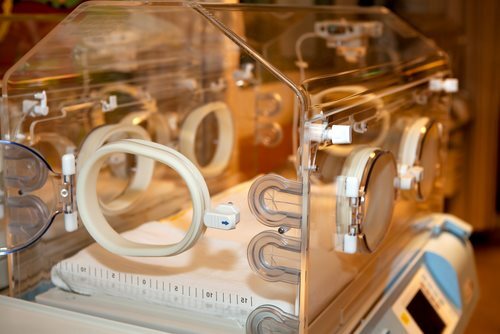 According to NIH, 1 out of 8 infants is born preterm in the United States every year. Preterm births can lead to both short-term and long-term complications like impaired breathing and vision, learning disabilities, and even cerebral palsy. First-time mothers with a short cervix are at risk of a preterm birth at the end of the second trimester because the neck of the uterus naturally becomes shorter when labor gets closer. In order to see the effects of the drug on mothers with a short cervix, a study was performed on over 600 women. Some of the women were given 17P and others were given a placebo. Unfortunately, first-time mothers with a short cervix who received injections of 17P were just as likely to have a preterm birth as the mothers who received the placebo.